On the blog recently I have hosted quite a few different giveaways and competitions which I hope you have been enjoying. 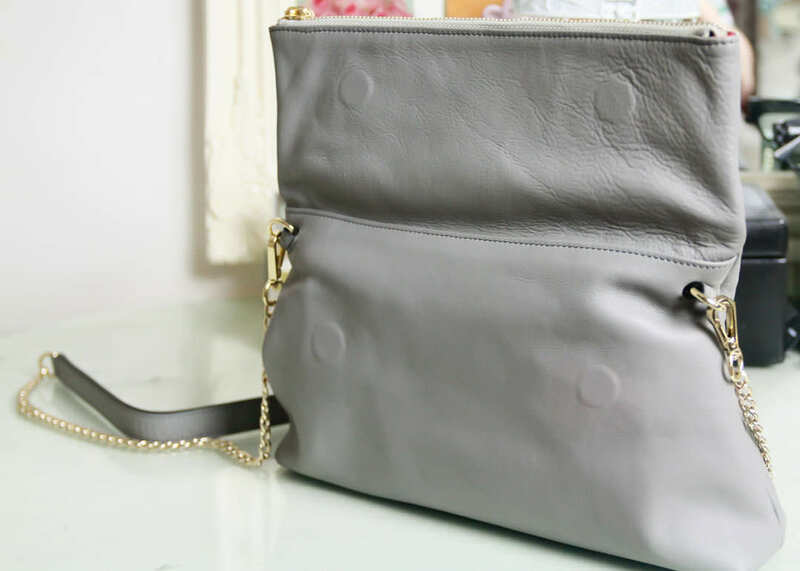 Today I am bringing you a rather special competition giveaway to win a gorgeous Charlotte Clutch in grey. Cooper & Hill recently sent me this beautfiul bag to see the quality of their products for myself but are also treating one of my lovely readers to exactly the same product! 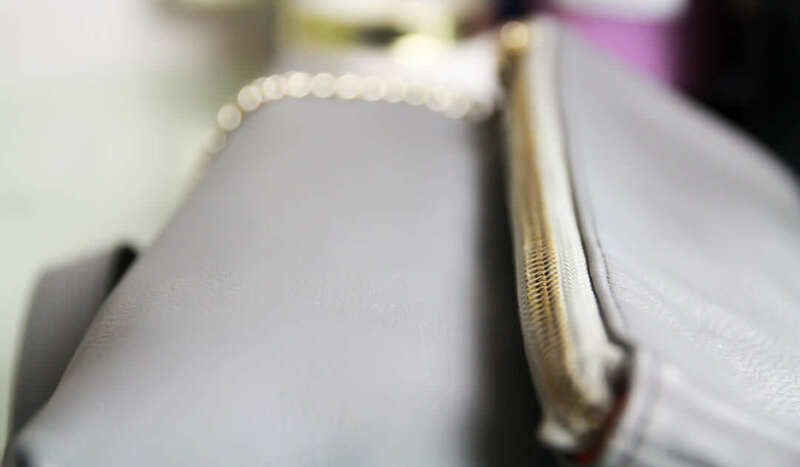 The Cooper and Hill Charlotte Clutch is a really pretty evening or day bag as it has a detachable chain. 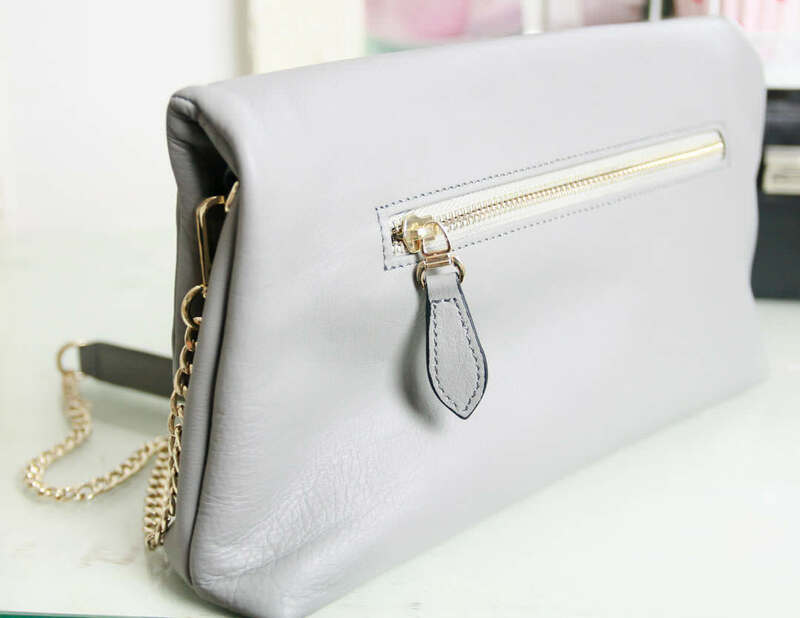 It is also available in navy, black and brown but I love grey for a chic summer handbag that isn’t too dark, is a little bit different from the norm and will go well with almost any outfit. 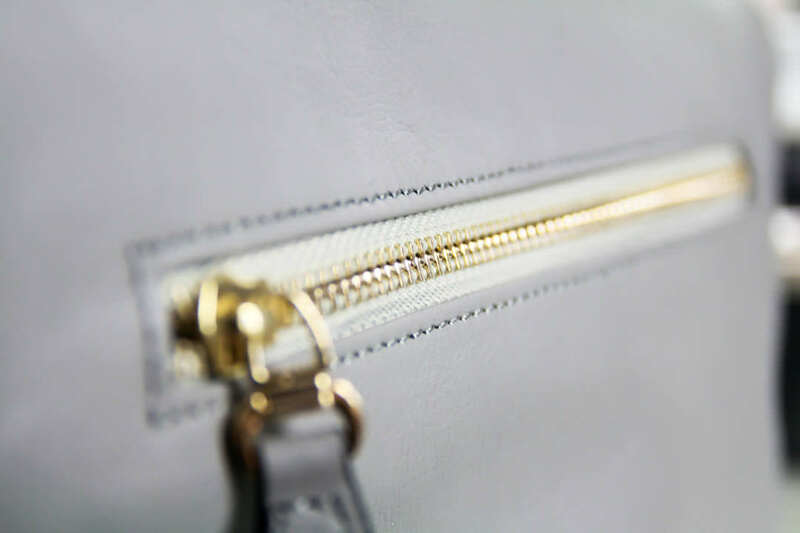 The bag has a folded, magnet clasp design with a zipped top and gold detailing. 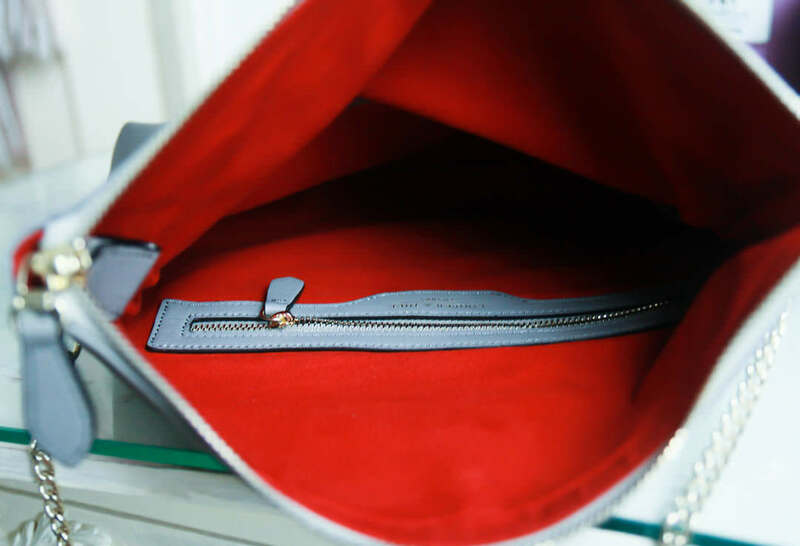 Inside is a red, soft suede lining with an internal zip compartment. The Cooper & Hill products are handmade by their own crafting team and use top grade natural leathers to ensure that the items will last a lifetime. Cooper & Hill currently have a Crowd & Co collaboration, ‘utilising collective consumer power to drive down the costs in manufacturing offering Luxury products at Trade cost’. This basically means that over 30 days you can register your interest in an item, driving down the price of the product. The Charlotte Clutch Traditional Retail Price was £125.00 but is currently at £60. The top target is 1000 registrations making this items target price £39, so if you are interested in getting a bargain luxury leather handbag, or other Cooper & Hill products you can register your interest here. Cooper & Hill are also offering you the chance to win the same clutch bag I chose so get entering and good luck! Previous Post The Lush Cosmetics Quiz – What Bath Bomb is this?